BUDAPEST, March 20 2009 (AFP) – American jeans manufacturer Levi Strauss announced on Friday March 20 that they would be closing their factory in Hungary at the end of June, along with making the 549 workers redundant there, because of overproduction. “In Europe, the Middle East and North Africa, the company has a greater capacity for production than can be justified by demand. Because of this the factory in Kiskunhalas will be closed,” Tamas Torba, a spokesman for the group told AFP. “With its two factories in Poland and Turkey, Levi Strauss can guarantee provision for the European market,” added Mr. Torba. An agreement on the closure of the factory has been reached by the representatives of the employees and the company after negotiations in early March. 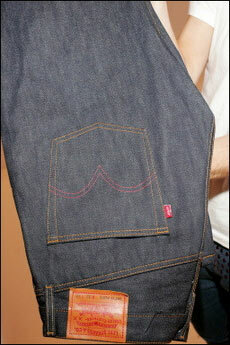 The production of the celebrated American brand’s jeans in Kiskunhalas, 150 km to the south of Budapest, started in 1988.